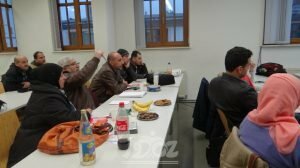 2nd Seminar of “Almanya in Arabic” – December 16 and 17, 2017 – DOZ e. V.
On December 16 and 17 DOZ e.V. 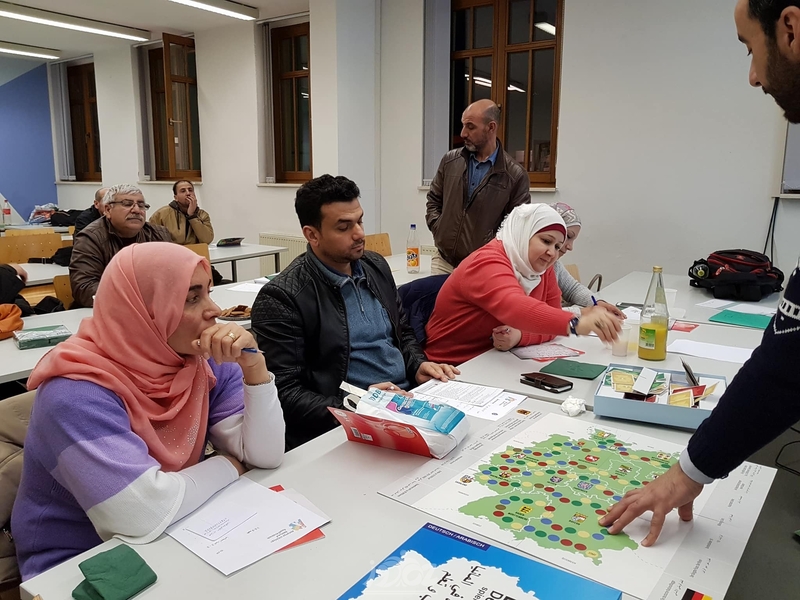 organized the second Welcome Seminar as part of the Project „Almanya in Arabic“, which is funded by the Federal Ministry of the Interior and sponsored by the Verband Deutsch-Syrischer Hilfsvereine e.V. 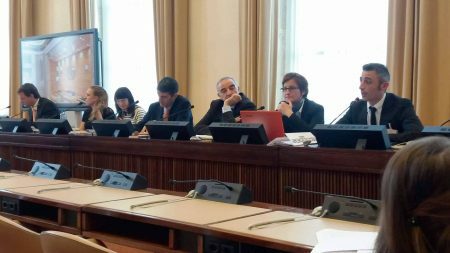 After introducing the project, the participants introduced themselves and shared difficulties they have experienced as “new-comers” in Germany. This was very useful for tailoring the seminar topics according to individual needs. 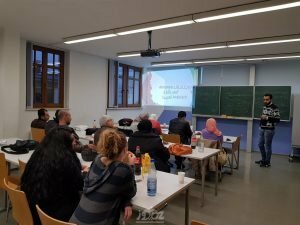 The participants also shared their opinions about requirements for successfully integrating oneself into German society. 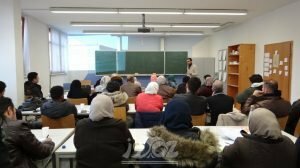 Subsequently, the lecturer gave some basic information about Germany’s geography, economy, society, languages, religions and the political system, followed by a short overview of German history starting at World War I. Then, the gathered information about Germany was compared with the participants’ countries of origin. Everybody was able to share their opinion and thereby contributed to a very productive discussion. The second day started with a discussion about the term “integration” with the objective of finding a common definition. This led to the question: How can I integrate myself and adapt to German rules and norms, without losing my own identity and culture? The next topic were social relationships. How can I build relationships in a completely new society with a culture and traditions that are unknown to me? The participants very openly shared examples from their lives and made comparisons with their home societies. 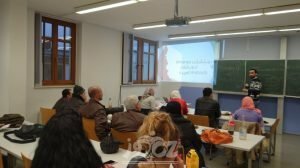 Another topic that was very important to the participants was how to learn German, since the majority of participants have not lived in Germany very long. What helps them to learn? Which difficulties do they encounter? In order to close the day in a playful way the board game “Leben in Deutschland – Spielend integrieren” was introduced. 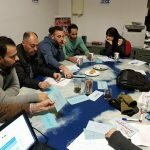 It delivered additional important information to the participants. During the entire seminar the lecturer used different strategies and vivid methods of cultural education. This facilitated an open exchange of opinions and encouraged the participants to give constructive feedback.